22 Dec 2014 Rawan C.
The New York City subway system displays impressive works of mosaic art. 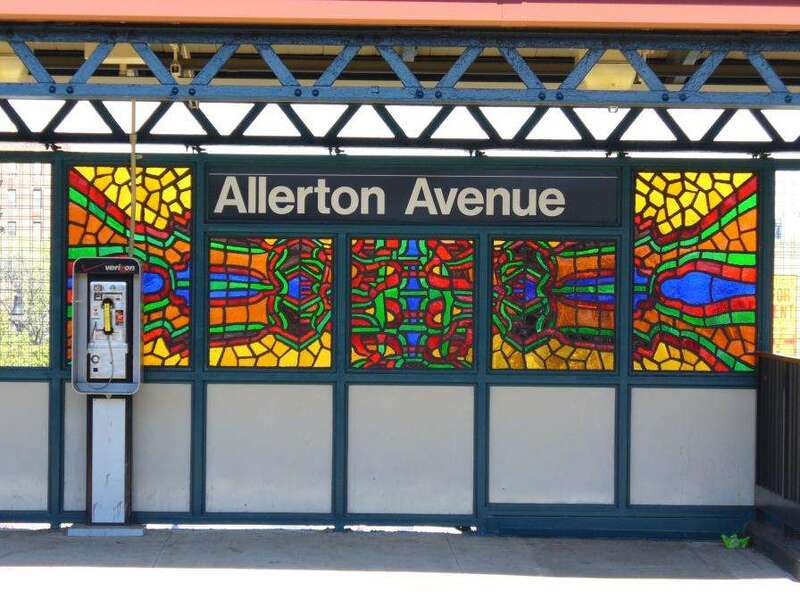 Mosaic artist and architect Squire Vickers initiated the use of mosaics in subways in the 1900s. 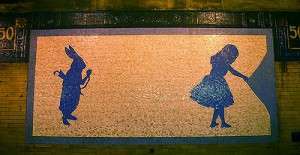 Many of the subway stations are filled with ceramic plaques and tile mosaics. Of these, are mosaic signs identifying the location of the specific station. One of the many mosaic artworks is a series of Alice in Wonderland characters. 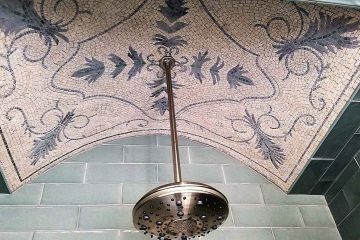 The artist Liliana Porter makes these pieces out of glass mosaic tiles. They fill the walls of the 50th Street station since 1994. 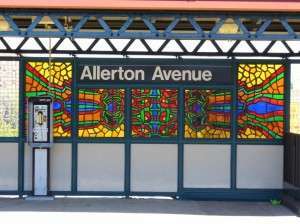 In the Allerton Avenue station, mosaic patterns decorate the walls. In 2006, the mosaic artist Michele Brody made these colorful Mandalas, mixing red and green, to give the platform an abstract feel of color. 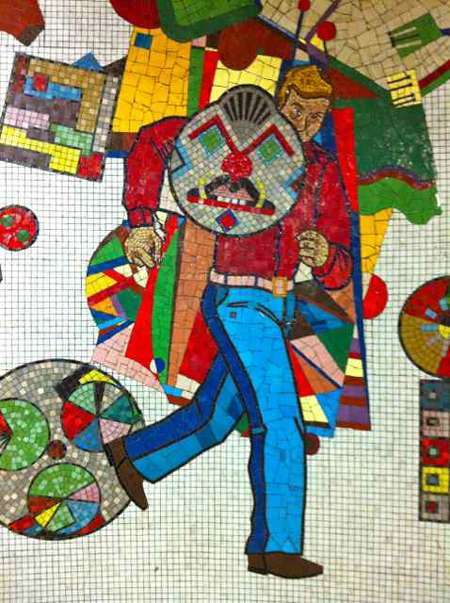 This mosaic tile art gives a cheerful and artistic vibe to a boring subway tube. If you’re looking for a little glam and funky artworks, go to New York, New York, New York! 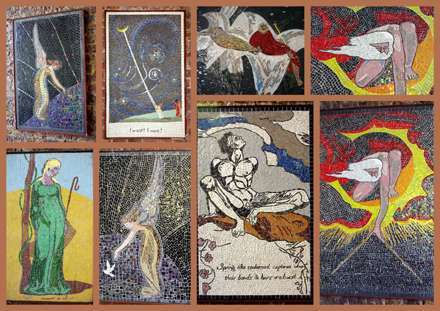 London is a city that has witnessed various mosaic discoveries but it is also filled with modern mosaic art talent. 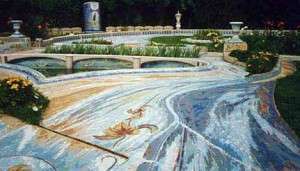 Its subway stations also collect numerous murals. In Leytonstone, the Greenwich Mural Workshop made a series of mosaics to commemorate Alfred Hitchcock, a director born in the area. 17 mosaics were installed in 2001 at the entrance of the tube station of Leytonstone using around 80,000 glass mosaic tiles. 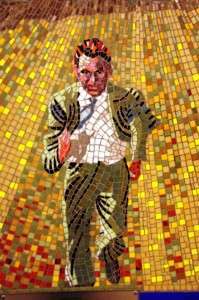 One of the pieces was of Cary Grant from the movie Hitchcock running away from a plane, it is called the North by Northwest mosaic. 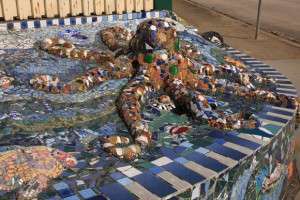 Another region of London full of mosaic tile art is Southbank. 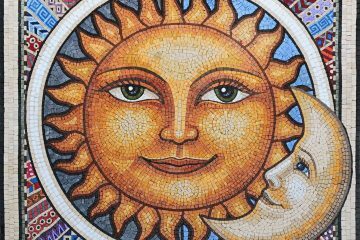 London’s own mosaic gallery and workshop is in Southbank. 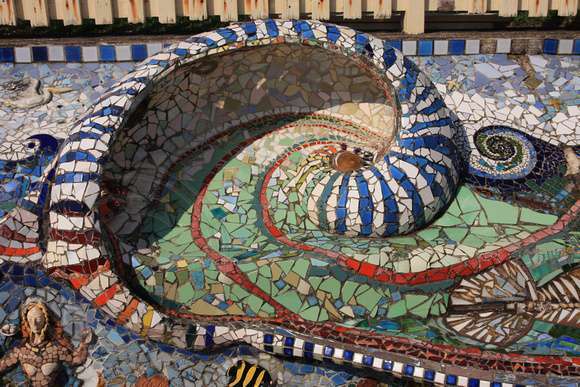 Southbank Mosaics Enterprise is dedicated to fill the area with mosaic art. The second image exhibits 7 mosaic murals made by William Blake and installed in the Carlisle Lane. In London City at the Tottenham tube, there are vitreous tile and smalti mosaics covering the entry with some colorful abstract art. London is the perfect city for a cold breezy winter filled with contemporary and modern art, it is why we call it the City of Dreams! 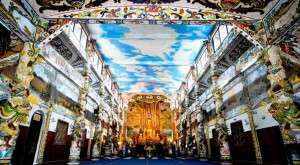 The city of Hanoi in Vietnam holds the world’s largest mosaic mural in the world and is being considered for the Guinness Book of World Records. 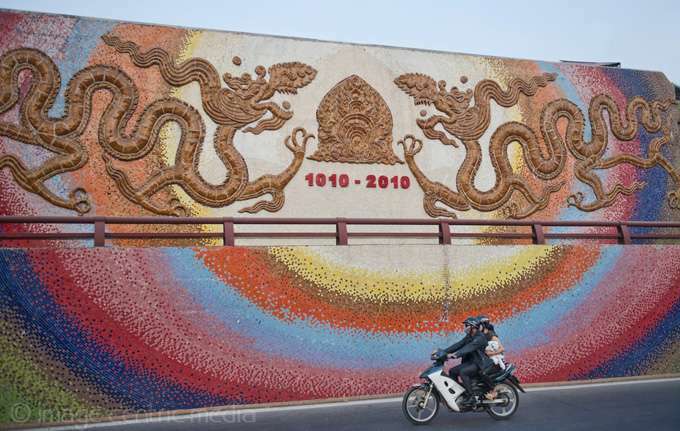 The mosaic wall was built to celebrate the 1000th anniversary of Hanoi City on October 5th 2010. The mosaics are made out of ceramic tesserae tiles and represent different decorative patterns from different periods in the history of Vietnam. 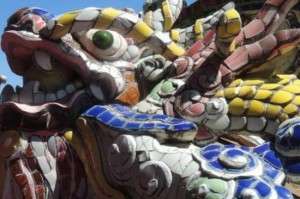 Some pieces are made out of very colorful tiles exhibiting landscapes and historical scene of Vietnamese daily lives. 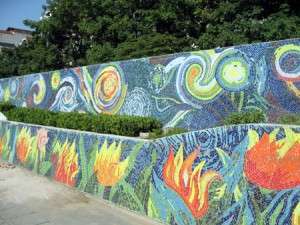 The National and International Community Mosaic organized this mosaic artwork. 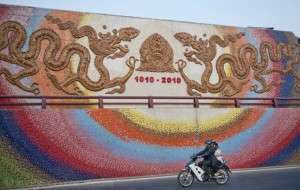 The streets of Hanoi are now crammed with beautiful mosaic art lightening up the entire city shore. For a little dip into the Far Eastern traditions, visit Hanoi where cultural heritage is present all over the city! 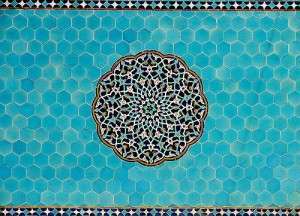 Iran is the home of arabesque designs and patterns. 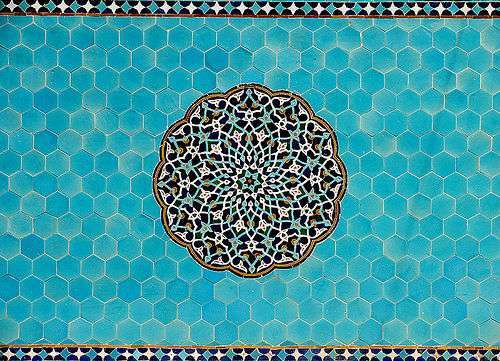 It holds the finest works of Persian architecture and the most beautiful mosaic artworks. The Walls of Yazd illustrate a visual continuity in color, measure and shape with the built structure of the city. 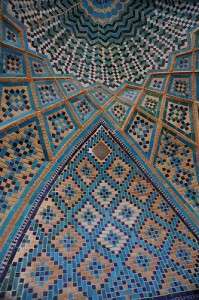 The most famous monument of mosaic art is the Jame Mosque of Yazd. A pair of towers, the highest towers in the country, decorate the mosque. 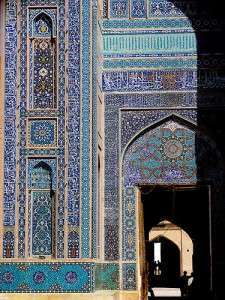 Dazzling mosaic tile art, with the turquoise color dominating, ornaments the entrance façade. 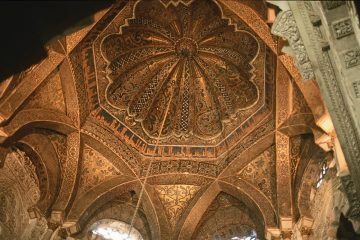 Geometric mosaic designs are applied on its walls, adding amazing decorative patterns to the monumental architecture. 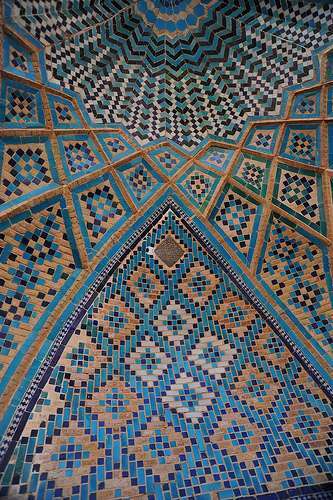 So if you want a glimpse of Persian culture and oriental art, Yazd is your destination. Want a throwback into the summer feel, summer vibes and summer colors? Nambucca Heads, Australia is your city where summer is celebrated all over the city! Our winter is the Australia summer. 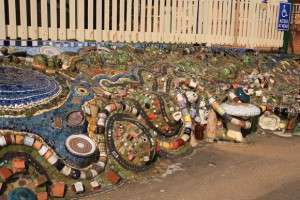 Nambucca Heads embraces unique street mosaic artworks. At the main street of Nambucca Heads, in front of the Police Station, is a 50 meters long mosaic mural known as “Fish and Chips”. 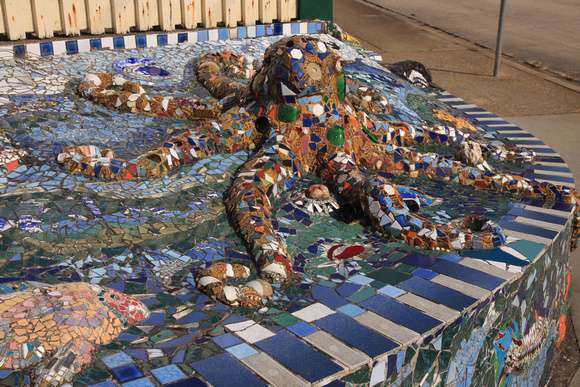 The wall is ornamented of mosaic sculptures including dolphins, octopus and fish emerging from waves. 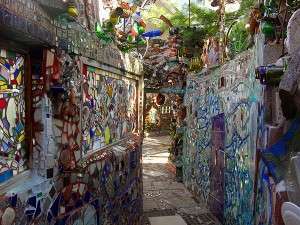 This mural was made out mosaic glass tiles, pottery and china. The artist Guy Crosley and a few local volunteers built this magnificent piece. 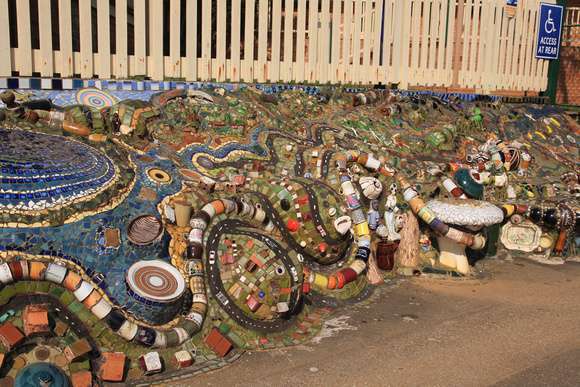 You can find mosaic art in every corner of Nambucca Heads, reminding you of summer! 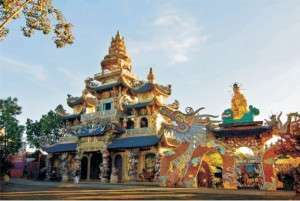 Da Lat City is called “the city of eternal spring”, in addition to its landscapes and beautiful sceneries; the city is full of culture with sculptures of monks, dragons and splendid architectural houses. The Pagoda (meaning glass) is the most famous mosaic artwork in Da Lat City and is made out glass tiles. 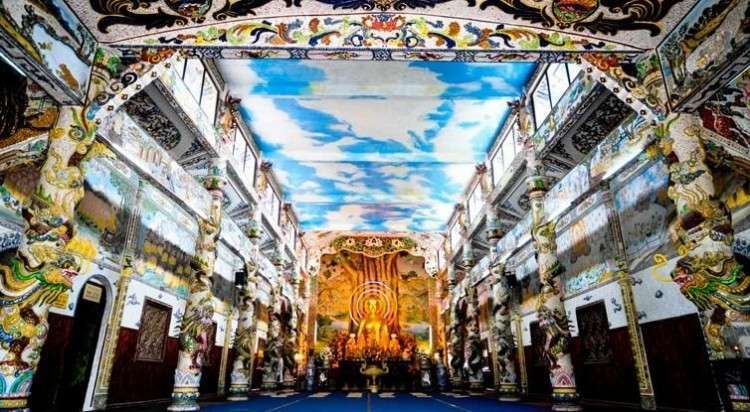 The main hall is of 33 meter long and 12 meters large; it has a two-column mosaic dragon statue. 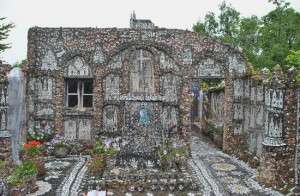 Right next to that mosaic house in Linh Phuoc, you find a Buddhist temple with a huge Buddha at the center and mosaic columns all around. 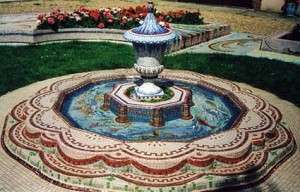 This mosaic art is the work of Abbot Thich Tam. 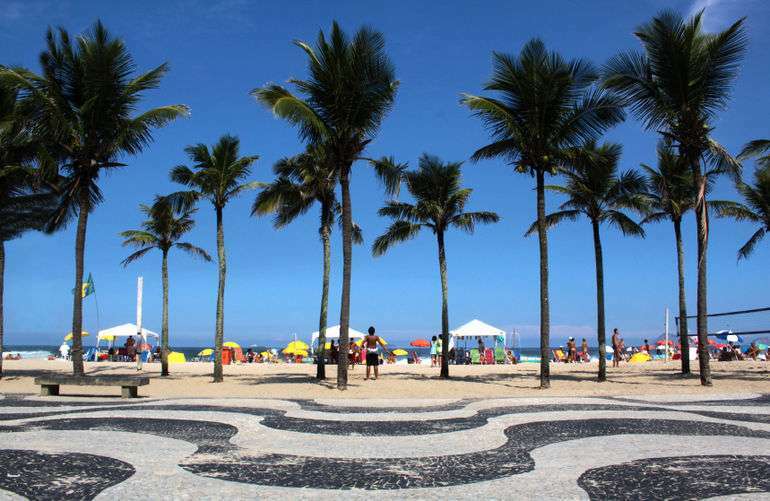 Rio de Janeiro is another city in the South, having the opposite weather of us in the North hemisphere. Our winter days are their very summery days with the most recognized carnival in the world occurring in the February. 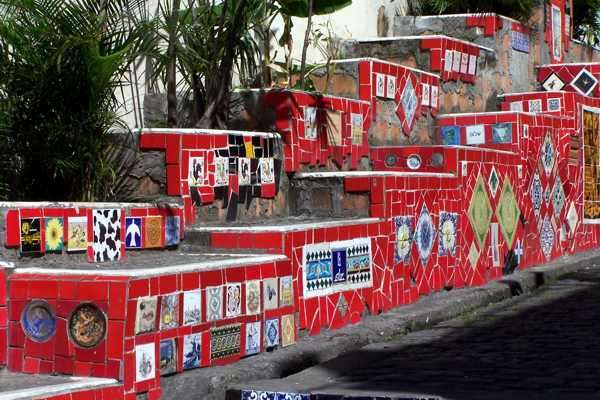 The city is fired up with the love of exotic and vibrant colors portrayed in their street mosaic art. 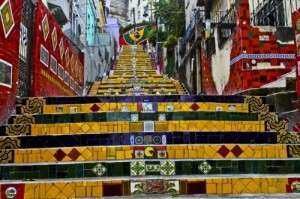 The Santa Teresa steps are the most famous mosaic artwork, crafted by the mosaic artist Jorge Selarón. 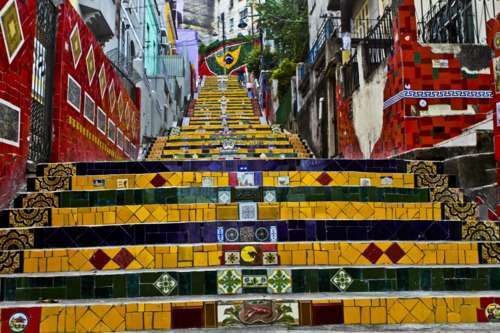 The staircase is made out of glass mosaic tiles, the predominating colors of yellow, green and red. It is 125 meters long and made out of over 2000 tiles, with 300 hand painted by the artist himself. The sidewalk of the Copacabana Beach is also a piece of art, made out of black and white stones, designing a wave pattern. Chartres is another French city that charms you with its romantic gardens and pathways. If you and your special one are looking for a peaceful yet interesting gateway, Chartres is the good choice. The city has one of the worlds most beautiful mosaic gardens, separated into the pink garden and the blue garden. It is situated in Happonvilliers, a town a few kilometers away from Chartres. The pink garden is the first thing you see while entering the gate. 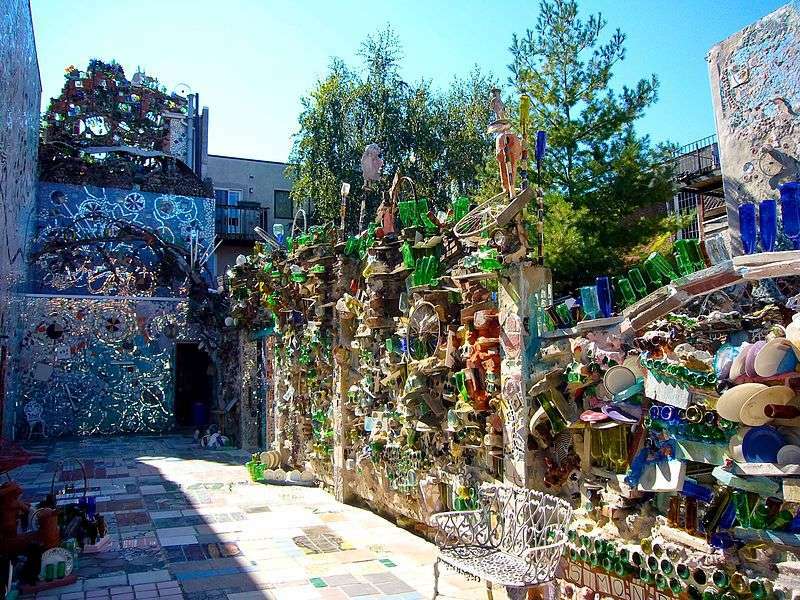 The terrace is covered with mosaic tiles mostly of pink color, and tiles of brighter color creating geometric patterns and designs. The blue garden is covered of mosaic borders and tiles that illustrate landscapes of moving water and waves. A French lady named Hurfane crafted this mosaic artwork. Maison Picassiette is a mosaic house that is also present in Chartres. 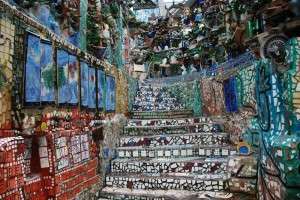 It is a marvelous piece of art build by mosaic artists and architect Raymond Isodore. Kick off your holidays by visiting South Street’s mosaic wonderland, Philadelphia’s Mosaic Gardens! 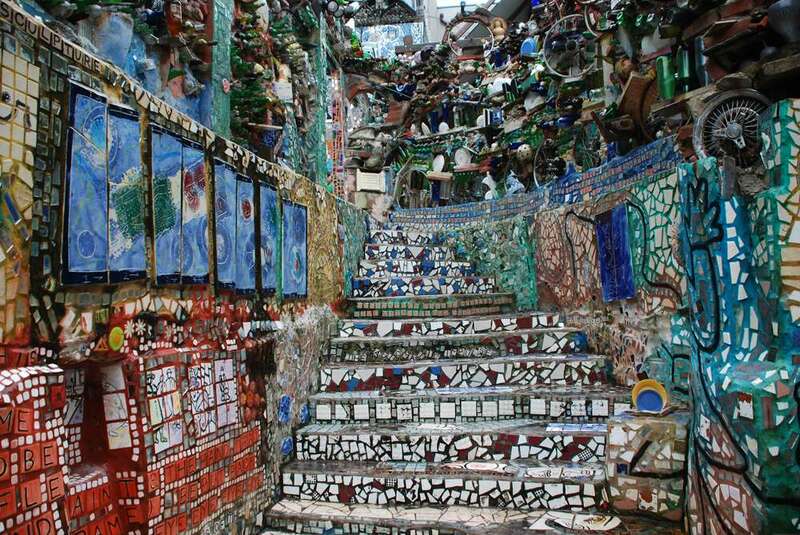 The artist behind this dazzling mosaic artwork is Isaiah Zagar. It is his largest work up till now. 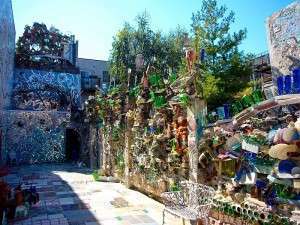 The Garden takes up the space of three lots with indoor galleries and an outdoor mosaic labyrinth. It is made out of everything from kitchen mosaic tiles to bike wheels and china plates. 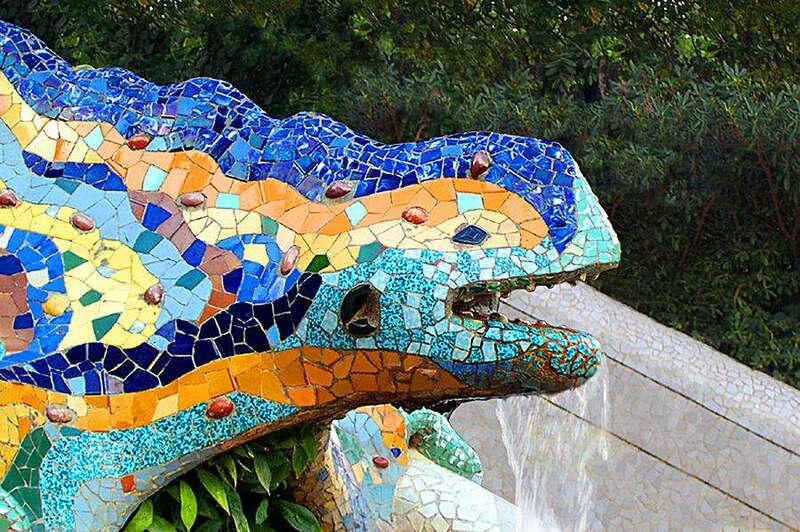 Barcelona is known for its cool vibes, exotic feel and its mix of old and modern architecture. 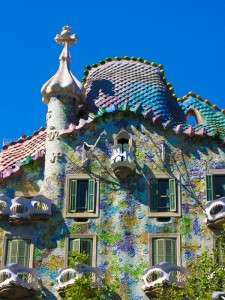 For a dip into the Spanish and Catalan culture, visit Barcelona where the sun is always up whether in winter or summer. 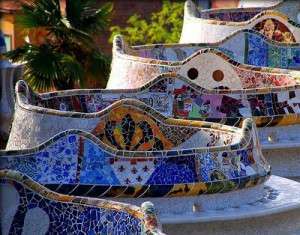 The city is filled with mosaic art and is the home for the world’s most famous architect and mosaic artist, Antoni Gaudi. Parc Güell is his known artwork. It is municipal garden with mosaic benches and mosaic sculptures such as the Lizard, made out of colorful glass mosaic tiles and ceramics. Another one of Gaudi’s masterpieces is the Casa Batllo with a façade made out broken ceramic and glass tiles and a roof also made out of tiles and which is said to look like a dinosaur’s back. Which city would you love to dig into and explore? Did you discover a new city that you previously did not know about? We would love to hear about your vacations and your artistic thoughts. Also in London be sure to check out the Mosiac House in Chiswick W4 5EH.